On April 16, 1972, two giant pandas – Hsing-Hsing and Ling-Ling – arrived at the National Zoo in Washington DC, a gift from China to the US following the February visit of President Richard Nixon. Tricky Dicky reciprocated by sending back a pair of musk oxen to the PRC. Over 20,000 people visited the pandas the first day they were on display, with an estimated 1.1 million coming to see them in the first year. 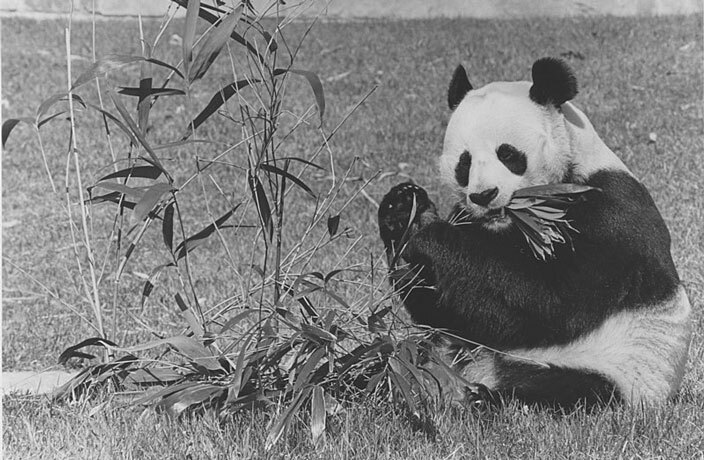 The popularity of the gift was seen as an enormous diplomatic success, so much so that British Prime Minister Edward Heath asked for pandas for the UK during a visit to China in 1974. Chia-Chia and Ching-Ching duly arrived at London Zoo a few weeks later. The practice of Panda Diplomacy existed as far back as the Tang Dynasty, when Empress Wu Zetian (625–705) sent a pair of pandas to the Japanese emperor. The PRC revived the practice in the 1950s, and from 1958 to 1982 China gave 23 pandas to nine different countries. By 1984, however, pandas were no longer used purely as agents of diplomacy. Instead, China began to offer pandas to other nations only on 10-year loans, standard terms including a fee of USD1 million per year and a provision that any cubs born during the loan be the property of the People’s Republic of China. For more This Week in History stories, click here.